I'm preparing this concept to send to the Milwaukee Brewers, for their consideration. I know the odds are long, but the Brewers do have a history of getting logo inspiration from fans. The design is being refined from earlier versions. I'm nearing a final version soon. 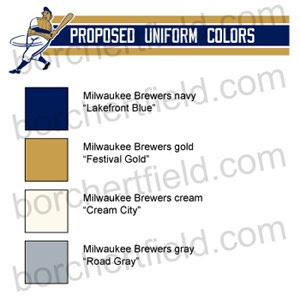 I've made no secret that I am no fan of the current Brewers uniforms. 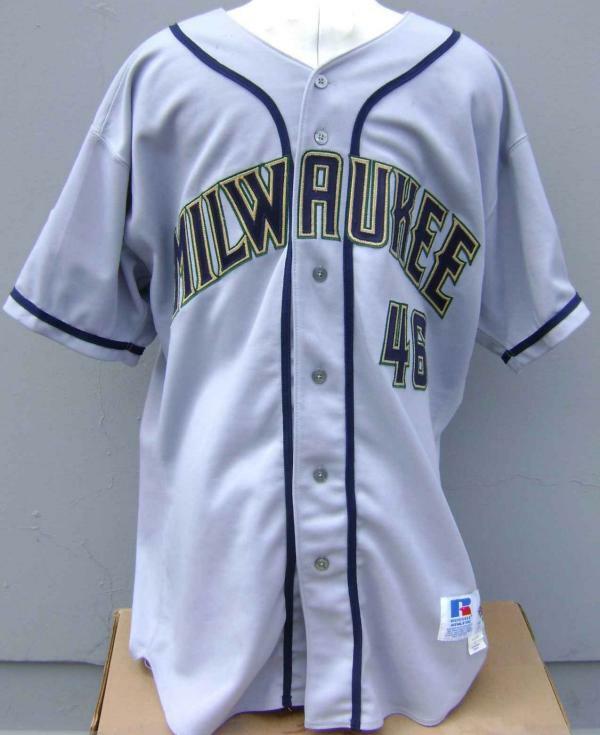 They're sterile and plain, designed by committee, but worst of all they have no connection with Milwaukee's rich baseball history. Here's my proposal to give the current bearers of the name the unique and modern look they deserve, while at the same time honoring the whole of that history, including (and especially) the American Association Brewers. I'm convinced. I hope Mr. Attanasio agrees. The bottle cap on the cap is fantastic! So simple, yet relevant. Nice job! Very, very cool. The bottlecap is just terrific--as is the Leinie's-based script and the inspired use of cream. 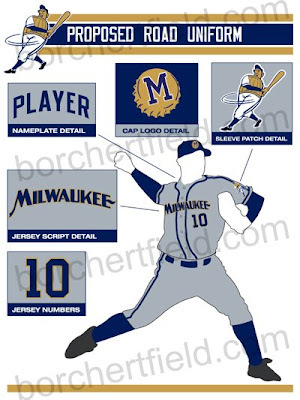 (On the latter though, I wonder if it might not get too close to the new Padres palette, which features a uniform set that looks like it's been soaked in urine.) (Second aside: Given the brewery's sponsorship and close ties to the club, though, you might get farther basing the road jersey on an old Miller script than Pabst.) The one part of your updated graphic array that I don't really care for is he new background rhombus--which just screams Schlitz. A little too clever, perhaps. I don't know if it's too close to the Padres' colors, though - it's essentially the same palette the Brewers are using now, with the addition of cream home uniforms (which the Padres don't have). Besides, given the Padres' rather fluid uniform history, I'm not sure that they'll keep their current set long enough for it to be an issue.